Written by Catherine Saxelby on Sunday, 20 September 2009. Wine. imbibed by the French in copious quantities, is the obvious answer to the French Paradox thanks to its impressive content of over 50 phenolic compounds known as polyphenols. These act as antioxidants, reduce thickening of the arteries and keep the blood 'thin' and free flowing, an effect similar to aspirin. Red wine is made with the skins and seeds of grapes, so has 9 to 10 times more of these natural chemicals than white wine. They give red wine its characteristic sharpness or bite (often referred to as "tannins"). And the French adore red wine over white. One phenolic, resveratrol, has been intensively studied but others such as epicatechin and quercetin, are emerging as important. 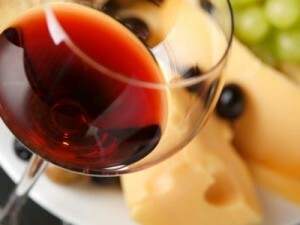 Research now suggests that it's NOT just the red wine the French love to quaff that keeps their hearts in good health. "It's not just the red wine the French love to quaff"
are the fifth highest consumers of fish and seafood in the world, which adds a huge boost of omega-3s to their intake. These special fats steady the heart's beating, minimise the risk of arrhythmia and keep our tiny blood vessels supple and 'elastic'. Think of those classic French seafood recipes such as coquilles St Jacques, oysters, bouillabaisse, sole meuniere, garlic prawns in butter. love garlic and add it in generous quantities to just about everything. Forget the Med Diet. The French are masters at garlic consumption, which has been under study for years for its cholesterol-lowering effect. shun Western-style fast foods such as burgers and fries with their 'bad' trans fat and over-processing. rarely snack but prefer to dine properly on three main meals without anything in between. Vegetables and salad are always part of their meals. eat small portions of most things, even though their cuisine is rich and high in fat. There are two distinct versions of the French diet. The traditional French diet is different between the north and south of the country and this correlates to different risks of heart disease. The northern regions favour more butter and cream and have a higher rate of heart disease, whereas the southern regions traditionally eat a Mediterranean diet including olive oil and red wine and have a lower rate of heart disease. The Mediterranean diet includes wine, plenty of fruits, vegetables, olive oil and fish and relatively little saturated (bad) fat. It may well be this that is responsible for the overall lower rates of heart disease in France. Reference: Czernichow S, Bruckert E, Oppert JM, Bertrais S, Paillard F, Astorg P, Arnault N, Galan P, Hercberg S. Intake of added oils and fats among middle-aged French adults: Relationships with educational level and region of residence. J Am Diet Assoc. 2005;105:1889-1894. Reference: Fuhrman B, Lavy A & Aviram M. Consumption of red wine with meals reduces the susceptibility of human plasma and low-density lipoprotein to lipid peroxidation Am J Clin Nutr 1995; 61:549-54. Polyphenols in red wine may protect omega-3s in blood, leading to a healthier heart, according to Italian researchers from the University of Milan. The researchers found that the wine polyphenols increased the resistance to oxidation of the omega-3 fatty acids DHA and EPA more than that of the omega-6 AA. During oxidation, the red wine polyphenols also delayed the increase of the ratio between AA and EPA. Read a summary of the research from Food Research International journal.